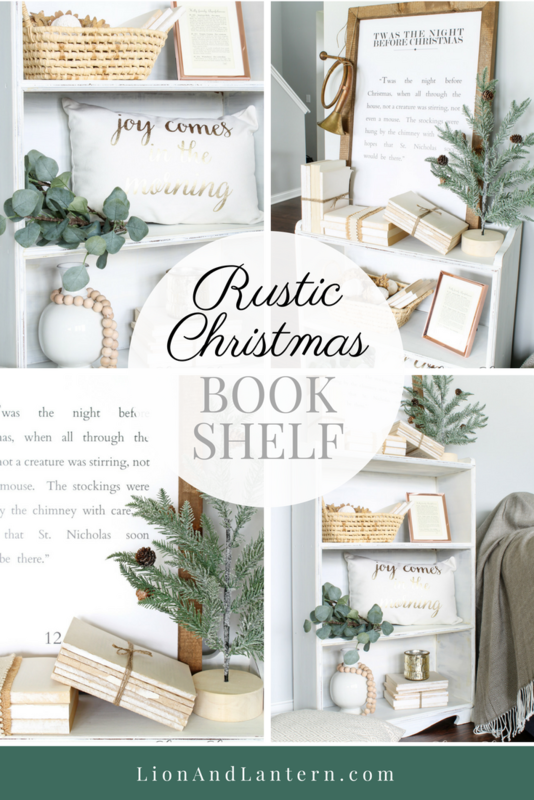 Want to style a rustic Christmas bookshelf? 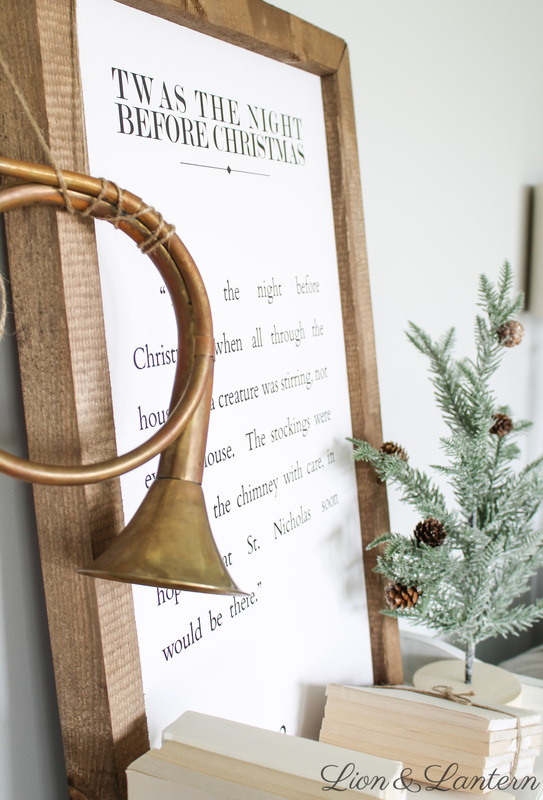 Spruce up your shelves with greenery, books, copper, brass, baskets, or a festive sign to make your home feel merry and bright this season. Hello sweet friends! 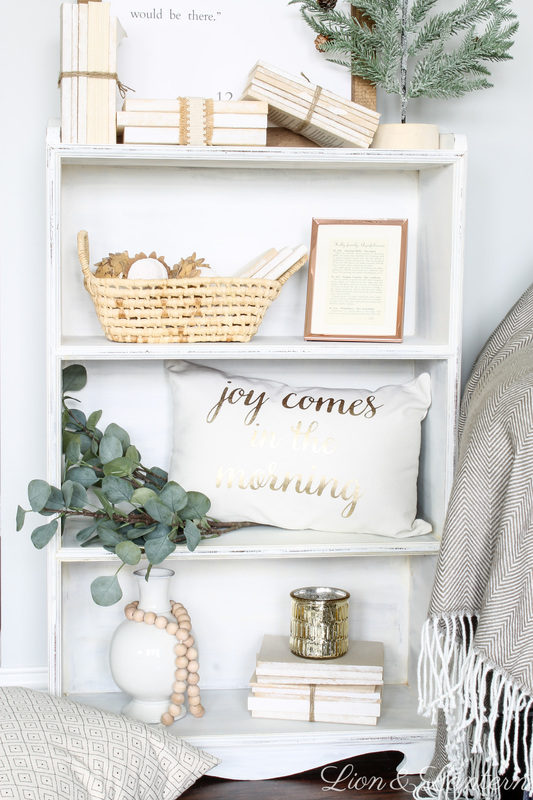 Today I’m excited to share a space that I enjoy styling for the seasons. 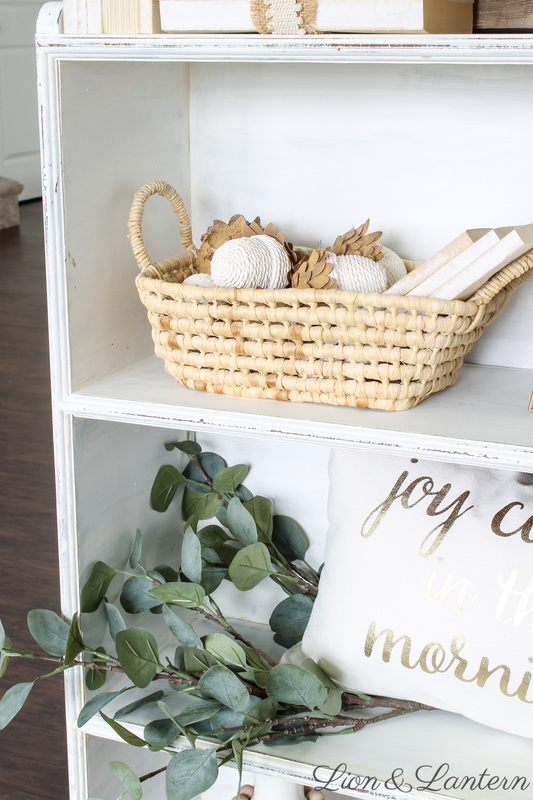 You may have seen the top of this little bookshelf in my farmhouse book bundle tutorial, but today I’m revealing the rest! The first few photos will be a review, and then we’ll explore the rest of this sweet bookcase. 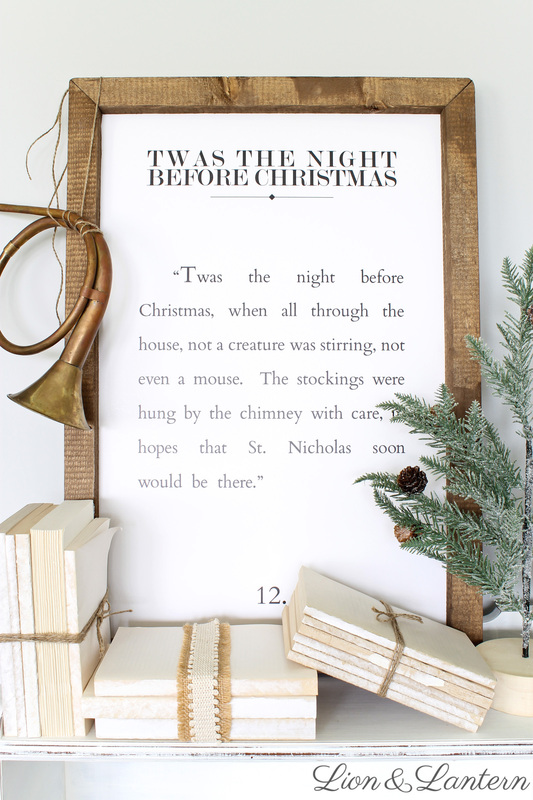 I’m still loving this sign from Smallwood Home; it was a great deal for the size, and the Night Before Christmas quote brings just the right amount of whimsy to our living room. I purchased much of my seasonal decor last year after Christmas. 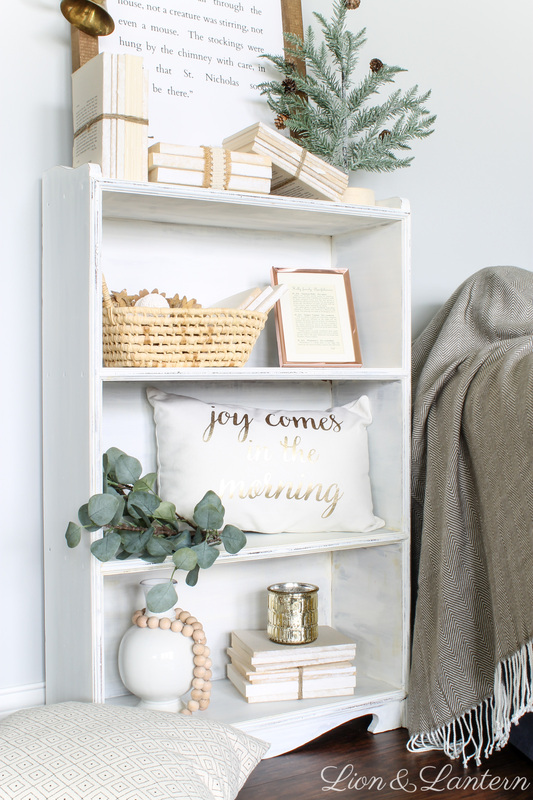 We hadn’t moved into our home yet last December, so I figured I could wait for the sales (budget shopper over here!). 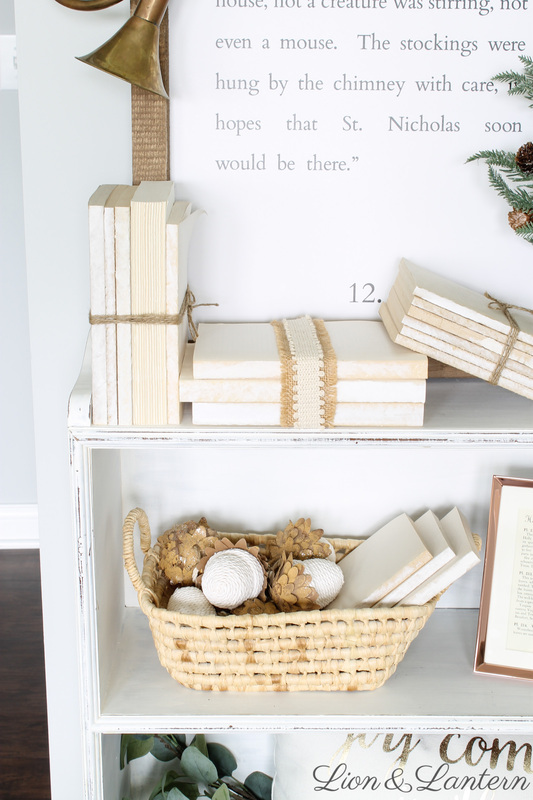 It was a lonnng year waiting to use all of my new pieces, but when the day came to pull out my Christmas tubs, it felt like shopping in my own home—one of my favorite things. The little tree was from Target last year; I love the baby pinecones! For the rest of this sweet little shelf, I decided to make do with items I already owned. The basket was my most recent purchase, also from Goodwill a little while ago. 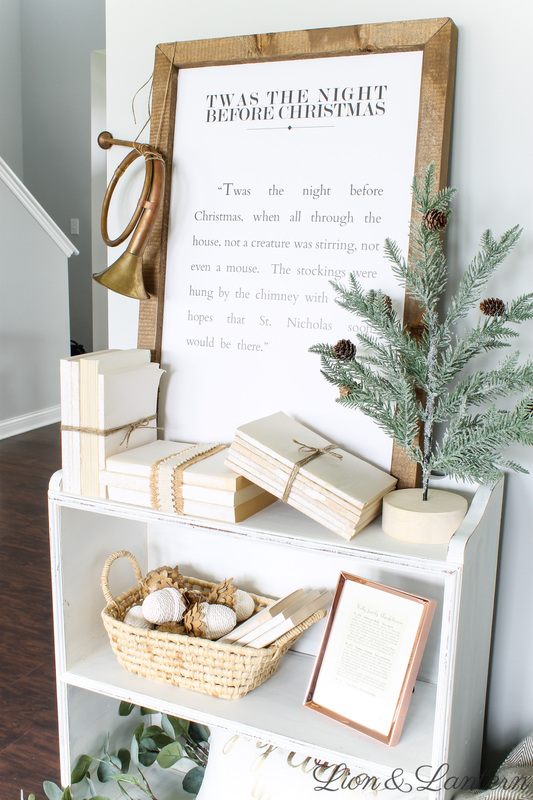 But my book bundles, faux eucalyptus, copper frame, and wood bead garland are all pieces you have seen me use around our home! 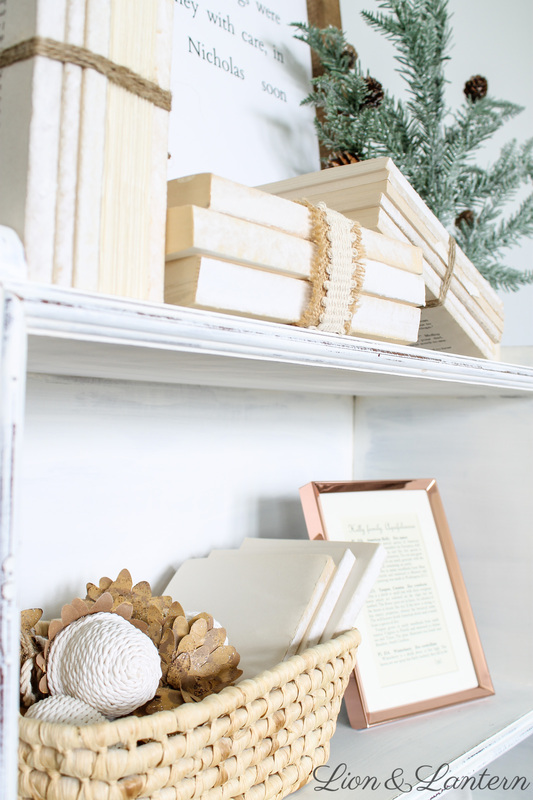 I finished off my bookshelf styling with a simple white vase, my DIY wood bead garland, some more book bundles, and a mercury glass candleholder that I found in the Target dollar spot last year. This little bookshelf has come a long away, as it has been passed down in my family for several generations. It was my first furniture painting project last winter, and I’m so happy with the way it turned out. 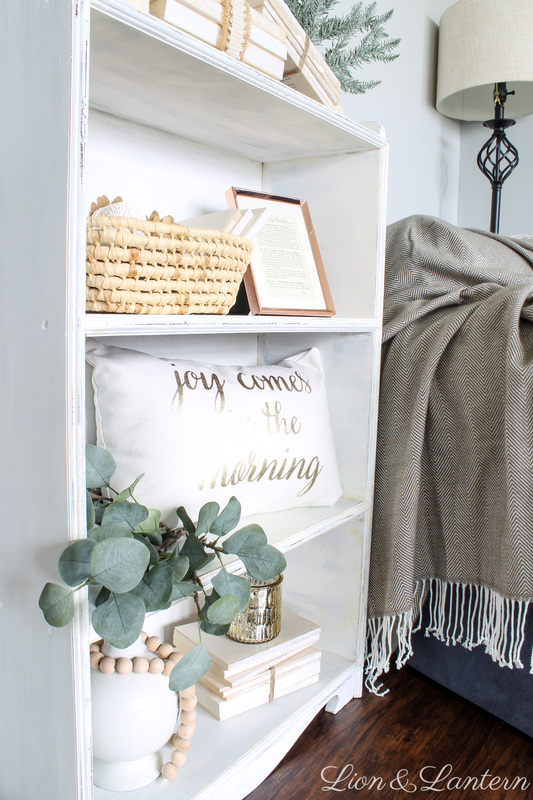 I used white chalk paint and did not wax or seal it, and it is holding up well! 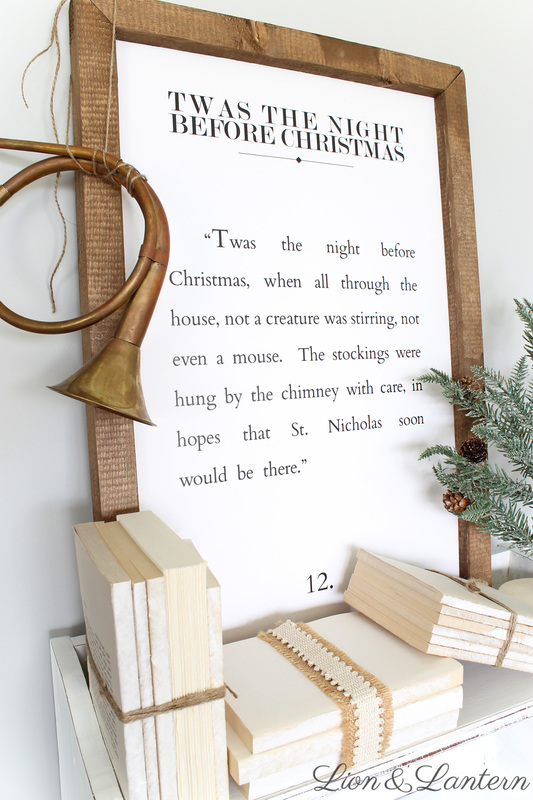 Thanks so much for stopping by to see our rustic Christmas bookshelf, friends! Make sure you pin the image above to save this post for later. 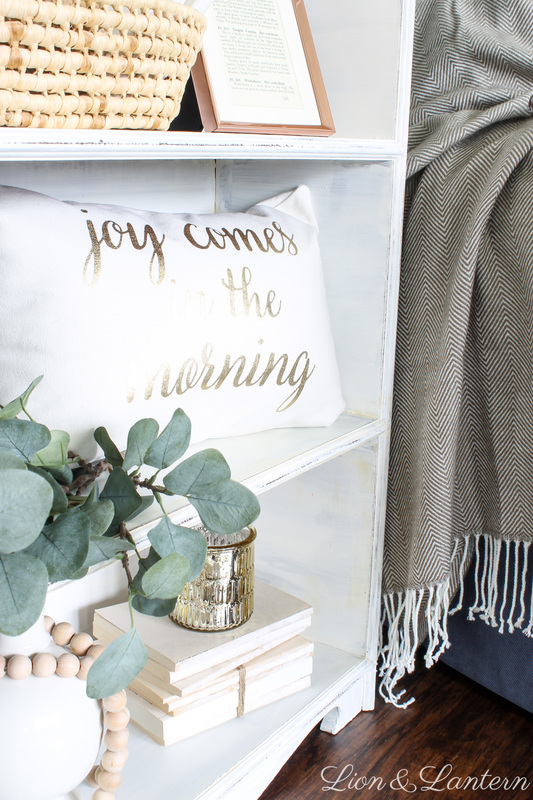 I would love to hear about your festive decor projects or holiday traditions, so leave me a comment with your thoughts or blog link below! 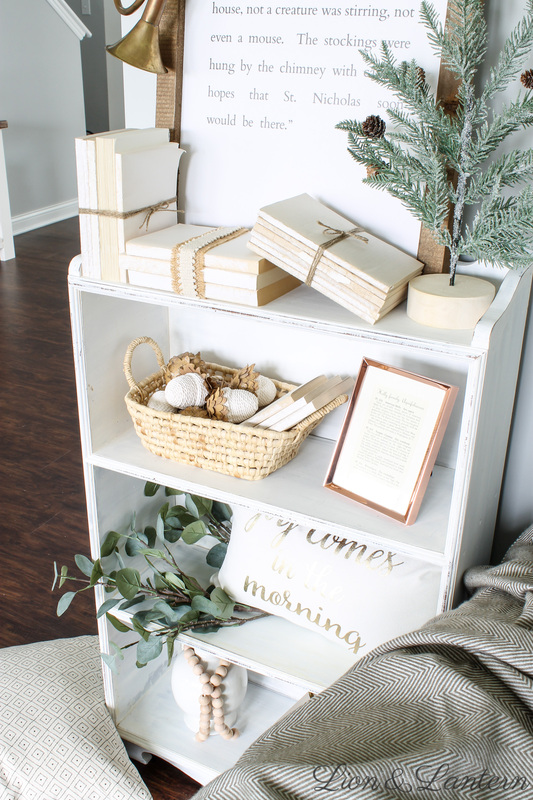 I love this sweet bookshelf! 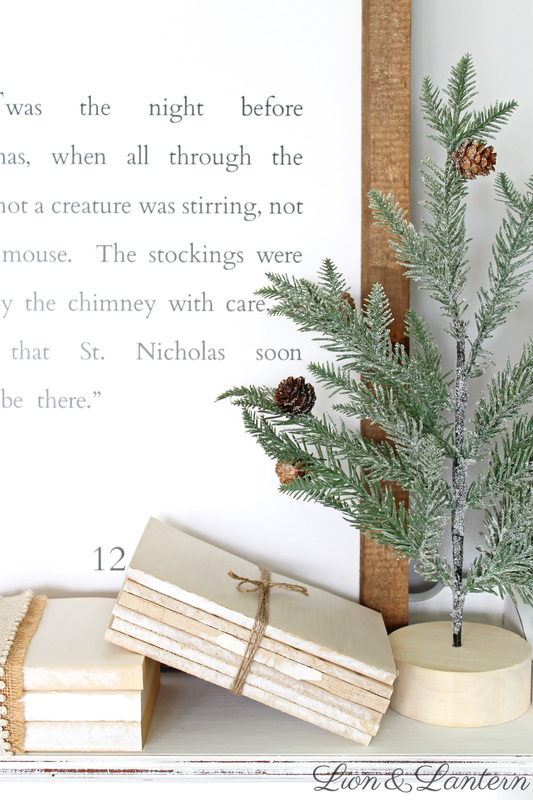 It’s Christmas-y and still beautifully neutral. P.S. 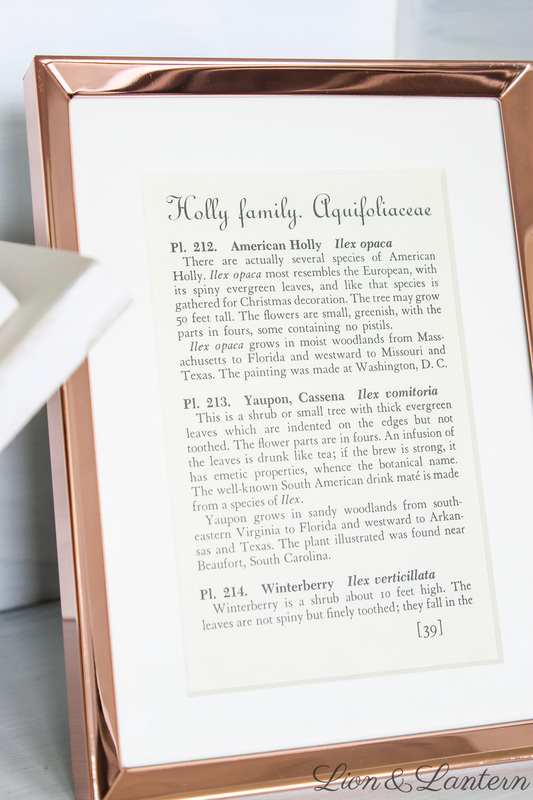 You find the best pieces at Goodwill…I think I need to start treasure hunting there again. I’d almost given up hope! 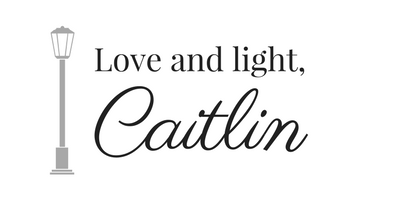 You styled your bookshelf beautifully, Caitlin! I love all the little details and how they all have meaning. 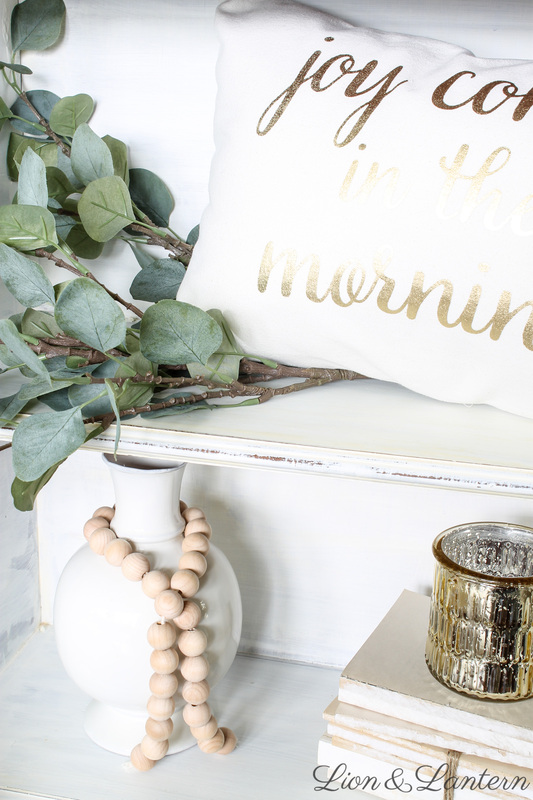 The textures and colors all tie together perfectly!